This accommodation has a contemporary design but is still influenced by Geek style and tradition. This mansion has just recently been renovated in 2015. 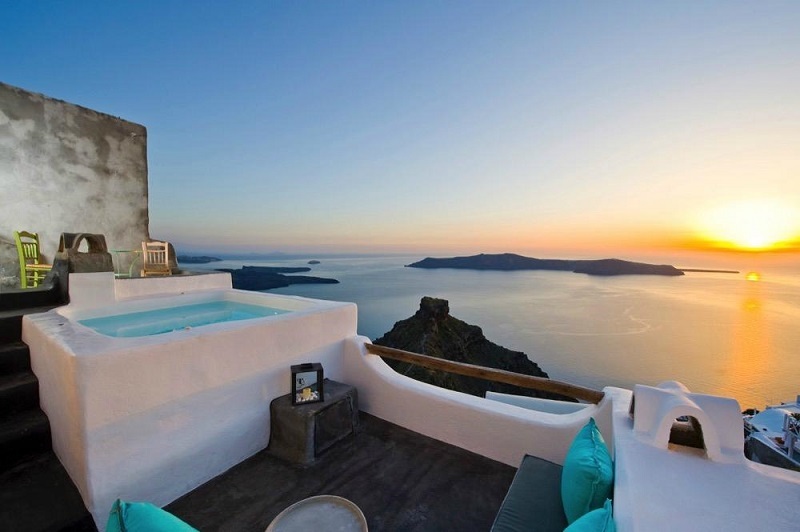 Your view from this hotel is an unobstructed view of the Santorini volcano, the Aegean Sea, and the caldera. This is definitely a unique living luxury. Click the next ARROW to see the next image!